Basically Hawker Horsleys with their 665 hp Rolls-Royce Condor engines replaced by 800 hp Armstrong-Siddeley Leopard IIs, two Dantorps were ordered from Hawkers by the Danish Government in 1930, pending licenced production by the Danish Naval Dockyard factory at Copenhagen. Both aircraft were to have alternative wheel and float undercarriages. Of composite wood and metal construction, the Dantorp differed from the Horsley in having a third crew member between the pilot and observer/gunner. The first aircraft, 201, made its first flight at Brooklands on September 19, 1932, piloted by "Gerry" Sayer. The second machine, 202, flew shortly afterwards and, in November 1932, was tested on its float undercarriage at Felixstowe. Before delivery both aircraft were re-engined with the 805 hp Leopard IIIA. 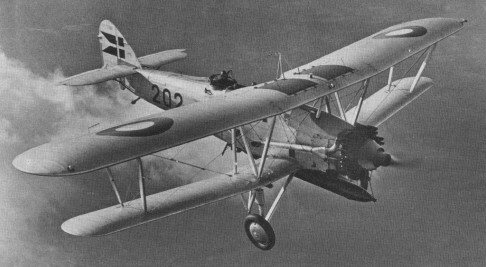 Licensed production of the type was not taken up, however, though the two Hawker-built originals flew extensively with the Royal Danish Naval Air Service from 1933 onwards. Engine: Armstrong-Siddeley Leopard II, 800 hp.